More information on speakers, sessions and exhibition will follow on this page. 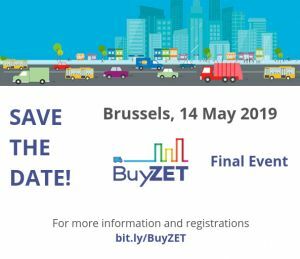 ICLEI Europe is a project partner in the BuyZET project. Are you a public authority and you would like to attend? Contact the coordinator POLIS (Giacomo Lozzi, glozzi@polisnetwork.eu), who might be able to reimburse your travel costs.